Netanyahu Besieged. Regime Change in Israel? The best Prime Minister the country has ever had. This is how Benjamin Netanyahu is referred to by his numerous supporters. He is the longest-serving one, since the founder of the Jewish state, David Ben Gurion; he served longer than Vladimir Putin. But now apparently he is on the way to follow his predecessor Prime Minister Ehud Olmert to jail. Olmert had been released only half a year ago after a stint for corruption and obstruction of justice. Now it is Netanyahu’s turn to taste prison gruel, instead of pink champagne he is so fond of. Or isn’t it? The ring of the Israeli PM story sounds familiar to the American ears. Israeli police chief Ronny Alsheich has fought Bibi as hard as Robert Mueller has fought Trump, while Israeli media stood with police against the Prime Minister as the New York Times stood with the FBI. Every accusation had been leaked to the press well in advance of hearing. The public had been bombarded by accusations day and night. Not only the PM, but his wife, the woman of harsh and ungenerous manners, has been relentlessly attacked, too. The modus operandi of Israeli Police had been very similar to that of the FBI. They found a weaker man, jailed him for some invented (or true) reason and forced him to denounce the boss. What was done to Manafort and Gates, had been done to Shlomo Filber and Ari Harow. In the end, the police succeeded in forcing the PM’s inner circle to betray their benefactor. Shlomo Filber, the suspended Communications Ministry director general had spent “two nights in a cold, stinking cell in the police lockup”, says Haaretz newspaper, and he agreed to incriminate Netanyahu. It is very, very difficult to plead for the Israeli Prime Minister. He is the man who killed the peace process, who enslaved the Palestinians, tortured Gaza, bombed Syria and Lebanon, did his damnedest to ignite war with Iran. However, there is a Jewish tradition of apologia, of finding positive points of villains. A Rabbi had been asked to eulogise Theodor Herzl, the founder of Zionism, the man greatly hated by observant Jews of his day. He said, Herzl had never walked into a WC while wearing phylacteries; he never studied Talmud on Christmas Eve; and he didn’t shave on Sabbath. These acts are strictly prohibited by the Jewish law, and Herzl didn’t transgress against these prohibitions. (It is beside the point that he didn’t shave, didn’t study Talmud and didn’t wear phylacteries ever at all). Another Rabbi had defended Satan regarding his persistence in tormenting Job. He said: God loved Job, the wonderful goy, and even preferred him to Abraham, the first Jew. Satan’s intervention had turned God’s kindness to Abraham; it was actually a good deed, restoring Divine attention to the Chosen folk. After hearing that, Satan flew to the wise Rabbi and kissed the fringe of his robe. In the spirit of these wise Rabbis, I’ll try to raise a few points in favour of the Israeli PM. Netanyahu didn’t take a bribe in any regular meaning of the word. He is not a corrupt man, keen to make a quick buck; he is not a fastidious one, either, but politicians rarely are. He is accused of having a good time with and accepting gifts from the Israeli billionaire and ex-spy Arnon Milchan. This appears to be a proper thing to do in the case of a man who produced pro-Israeli films and did much for the state of Israel. Every Israeli PM would do the same, while enjoying his splendid cigars and good whisky. Netanyahu tried to promote a regulation that would benefit Milchan, but this act would benefit every rich Jew investing in Israel, not just Milchan. Netanyahu is accused of helping media owners and asking them for a favourable press coverage. This does not strike me as an offence: everybody asks media lords for a positive coverage. Netanyahu had the same problem Trump has: media is universally hostile to him. It was not objective; media was out to get him, spilling lies or exaggerating his minor transgressions. In order to rule efficiently, he needed some positive coverage, but they were prejudiced against him, so he was forced to use this subterfuge by their hostility. There is a lot of unsubstantiated stories about Mr and Mrs Netanyahu, all of them petty penny-pinching: they overcharged the state while ordering catering, they overpaid their electrician, they returned empty bottles to the shop and got the deposit back, but didn’t refund it to the state. The Attorney General reasonably concluded that there is no proof they actually knew of this detail of housekeeping. Years ago, a person close to the PM had sounded out a candidate for the post of Attorney General on Mrs Netanyahu’s case. This was presented as an attempt to sell the high position in return for dropping the case; but it was a reasonable precaution. Pity Donald Trump did not sound out Sessions on RussiaGate before appointing him. Thus, despite much talk, there is very little real hard stuff against PM Netanyahu, but he had been already tried by media and found guilty. However, Bibi is not indicted yet, though the police chief had recommended that. The decision is that of the Attorney General; he will probably postpone making it unless Ronny Alsheich, the top policeman, will find a way to put pressure on the AG. If and when Bibi will be indicted, he may fight all the way through the court, and he may win. His followers won’t take his defeat easily, shrug their shoulders and go home. They will cause a lot of trouble, and Bibi is not the type to surrender. However, if he will have to leave his post, who is likely to become the leader of the Jewish state? There are no good guys we can hope to inherit the throne. Like its neighbour Lebanon, Israel is divided into communities divided by their origin and their attitude to religion. Economically the strongest one is the secular East European Ashkenazi community, but it suffers of the same illness of mind the WASPs of America are heirs to. They are liberal and uncertain of their ability and right to rule. They accepted the minorities-prone agenda like the American white liberals: they are for LGBT, for black African refugees and they would like to have Oriental Jews fronting for them. The Oriental Jewish communities hate Ashkenazi Jews, but they hate Arabs even more. This hatred to Arabs is the cement of the Jewish state. The Orientals want to be top dogs, but they aren’t certain of their abilities and actually prefer the Ashkenazis to take care of the state affairs. Religious Jewish communities also subscribe to hatred of Arabs, but they are split between ultra-orthodox and nationalist. The ultra-orthodox care more about their own self-interest, while the nationalist religious are millenarians and chiliasts. (2) The Minister of Education Naphtali Bennett, the clean-shaven religious nationalist of American background, who said authorities should lock Ahed Tamimi up and throw away the key. These two candidates are far right. (3) Yair Lapid, good-looking ex-TV personality, probably the favourite in the race, a Macron of Israel; according to the Jerusalem Post, “the most dangerous man in Israeli politics today, a good-looking, charismatic, overconfident fool, an affable ignoramus with no intellectual gravitas, devoid of moral principle, but with the gift of a silver tongue.” He famously described the Polish astronomer Copernicus as “ancient Greek”, and called the modern Swiss sculptor Giacometti – a “great Renaissance artist”. (4) The Finance Minister Moshe Kahlon is a Libyan Jew, the only Oriental Jew in the top league of Likud, so he is likely to attract Ashkenazis who believe that he will attract Orientals. He is centrist and rather liberal. Bear in mind: the Oriental Jews had been disappointing in Israeli politics: they are vainglorious and weak, even if good of intentions, and rarely attract Oriental Jewish voters who prefer to vote for Ashkenazi right-wingers. For them, hatred of Arabs is more important than love of their own. All four are hard-line Jewish nationalists; all of them hate the Palestinians and are extremely unlikely to make an accommodation (let alone peace) with them. 5) Israel has its own Hillary Clinton; her name is Zippy Livni, an ex-spy. The liberal American Jewish media refer to her in glowing terms. Once, she practically won an election and was asked to form the government, but she could not produce a government coalition with a parliamentary majority, and thus Netanyahu became the PM, and she had joined the opposition. It is unlikely she will get a second chance. (6) The head of Labour party, Avi Gabay, is an uninspiring figure and a hawk, at that. As he got elected to lead his party, he said he won’t invite Arabs to his government coalition; he famously said to the Arab states ‘You fire one missile – we’ll fire 20′; he also said that he won’t dismantle the Jewish settlements even for peace. He is a Moroccan Jew, and he courts Likud voters rather than his own constituency. Probably he will fail spectacularly, being unable to appeal to Ashkenazi voters (as a Moroccan) or to Sephardi voters (as too soft on Arabs). Anyway, the last two personalities have a very little chance to form the next government. The real rivals are the right-wing-religious and right-wing-secular candidates; in both cases Israel will move more to the right and to extreme chauvinism. Compared with these candidates, Bibi is prudent and cautious. Though many of his admirers in Israel and in the US pushed him to war, he didn’t (always excepting Gaza, the poor Gaza that is used as the test ground for Israeli weapon manufacturers. Gaza can’t shoot back, and it is perfectly safe to kill children of Gaza. Gaza is there to justify anti-Semites at the Last Judgement). Despite his many threats to Iran and to Hezbollah, he avoided shooting war. Would his possible successors be as prudent as him? It is slightly more likely they would choose war, as war is the best way to gain popularity, recognition and glory. Bibi is already popular, but any successor will feel a need to show his proof. Do not regret that Israeli “left” has little chance to rule. Israel probably won’t start a war while the Labour (or Zionist Union) is outside of the government coalition. If and when the left and the right-wing form a Government of National Unity, the likelihood of war turns into certainty. Historically, the Israeli right-wing, despite its constant drive for war, has never fought a war without the approval of its elder Ashkenazi Labour brother. On the other side, the Labour has no problem in going to war. Likewise, any strong action against Palestinians will be taken with support of the “left”, or at the “left’s” initiative. This apologia for prudent Netanyahu does not mean I have any hopes connected to his rule. I have none, and the Palestinian National Administration has no hopes either. 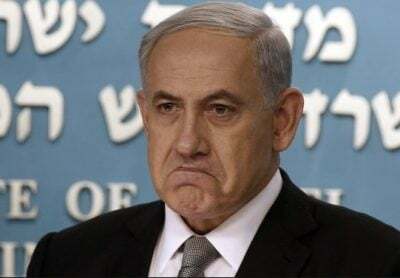 It is rather a sad observation that awful Netanyahu will probably be replaced by an even worse politician, of Jewish religious-ISIS kind or of Jewish secular-fascist kind. This is the terrible logic of apartheid. There is a way out: elimination of apartheid and equality of Jews and non-Jews in the country; but apparently it is not on the table. In the international context, the fall of Netanyahu will have a big impact. It will be the victory of the liberal globalists, for Netanyahu is a partner of Trump and Putin. However, the liberals won’t enjoy the fruits of their victory, as Israel will continue its drift into religious fundamentalism.